Home / Tech launching / Oppo now introducing a new smartphone R17 pro with triple rear camera. Oppo now introducing a new smartphone R17 pro with triple rear camera. oppo R17 pro was just Launched in china and it's set to be a triple rear camera device though oppo wasn't the first smartphone with triple camera. Huawei P20 pro was the first device to launch the same features camera which consist of 40MP RGB sensor, and 20MP monochrome camera. The configuration of triple camera with was configured to oppo R17 pro include 12MP essential focal point and furthermore f1.5/f2.4 opening, 20MP secondary lens and a third TOF 3D stereo camera. 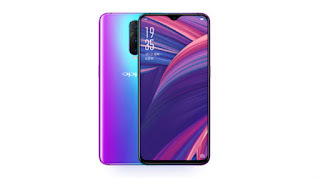 The oppo R17 pro has a 6.4 inch for a full- HD display also a resolution of 1080×2340 pixels, aspect ratio percentage is about 91.5. The battery capacity is 3,700mAh and a 4g VoLTE supported device. The smartphone has a great storage ability of 8GB RAM and 128GB ROM storage.The oppo R17 will be on sale in october of this same year.